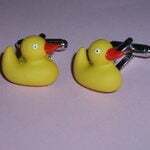 I make a selection of items for the Groom, Best Man, Ushers and Special Guests. 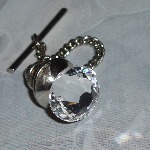 Really fabulous 12mm Swarovski cufflinks, which come in Clear AB, Siam Red and Jet Black. Tie Tacks, Tie Tacks with chains, and Stock Pins. 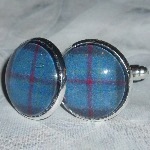 Funky Cufflinks in all shapes and sizes.